Each new year is filled with innovative ideas, creations, and trends. In the event and entertainment industry, keeping up with the latest trends will help you throw an exciting and memorable celebration. Now is the time to get up-to-date on the latest color schemes, entertainment ideas, venues, and decorations. Take a look at the most popular entertainment trends in the event planning world for 2018. Body Art: And no we did not make this up. 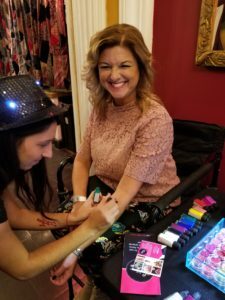 From bridal magazines, to planning expos, body art is just one form of entertainment that has become increasingly popular in the event arena. This is a great addition to any occasion and is something guests of all ages can enjoy. 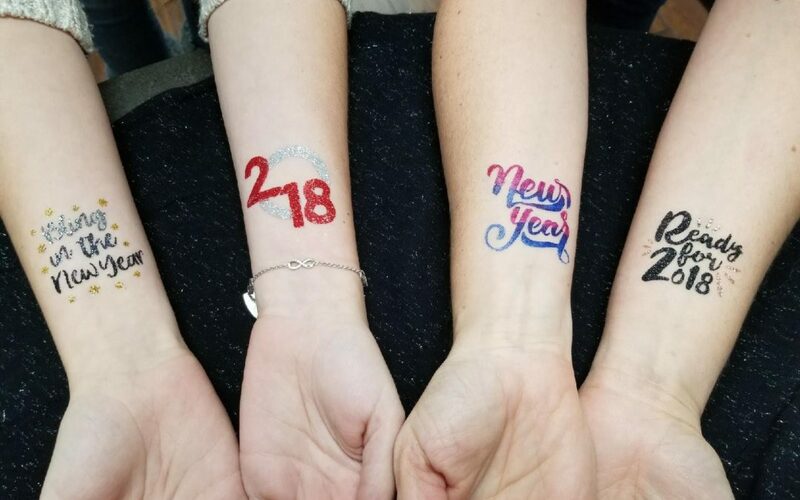 Greet guests at the door with an easy-to-apply tattoo or have a designated table where guests can apply custom temporary tattoos on their own. Provide tattoos with initials of the guests of honor, fun graphics related to your event theme, or creative quotes to inspire your guests. Additional trends in body art include airbrushing, face painters, henna, and spa stations to name a few. Live Photo Sharing: Pictures and videos are a great way to capture the excitement of your celebration. A fun way to get your guests involved in the process is to take photos is inside a photobooth! This is a great way for your guests to be creative and gives them a keepsake of this exciting occasion. Another fun way to remember your event with photos is to have a polaroid camera setup. Your guests will have a blast using it and then they can either take or leave the photos for you to see. For events catered to a younger crowd, try creating your own SnapChat Geofilter and #hashtag. Guests can use these to celebrate your event with their own photos and share how much fun they are having with their friends. 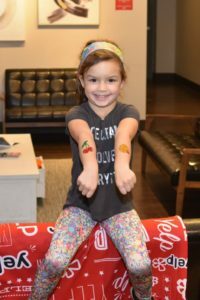 Food-Based Entertainment: When it comes to events, everyone loves a chance to try new and delicious food and beverages. Providing food-based entertainment is a unique way to bring your guests an unforgettable experience. Interactive formats like cooking demonstrations and contests are a fantastic way to engage your guests. Another way to make a big impression is to bring in a celebrity chef or hire a popular local restaurant to cater. Creative Venue Choices: Weddings, galas, bar mitzvahs/bat mitzvahs, birthday parties, and office parties – all these events are a great opportunity to celebrate, connect with family, friends, and colleagues, and create lasting memories. In order to make each of these events special, you will need to start by finding the perfect venue. The location you chose helps to set the tone for the rest of the event and can be used to your advantage with planning. The right venue can add to entertainment factor and set the perfect stage for your vendors. One way to wow your guests is by hosting your event in an unexpected venue. Try swapping your usual location for somewhere nontraditional. Re-purposed warehouses provide an exciting twist to a traditional style hall. Or for something with a contemporary feeling, try an art gallery or museum, an atrium or theater, a greenhouse, or even an aquarium. 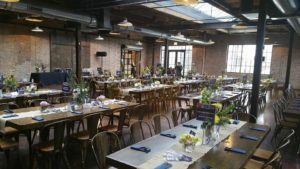 These unique spaces not only help to make your event memorable, but they can be quite versatile and allow for more customization and lower food and beverage minimums. Custom Decorations: DIY decorations are making a surge into the event scene. Creating your own decorations allows you to be creative and make exactly what you are picturing in your head. For something completely out of the box, try decorations that guests can interact with. Flying wish paper and photos and video displayed on a projector all act as both beautiful decorations and a unique way to engage with guests. One unexpected and clever trend that has emerged is the use of puns and hashtags. Puns are used on many different platforms and they work as great labels for various parts of events. They can be used to label drinks, food, activities, etc. They are pun-tastic for any occasion. No matter what type of celebration you are hosting, using these tips to help guide you will make your party planning process a breeze. Unleash your creative side in 2018! Looking to go the extra mile? 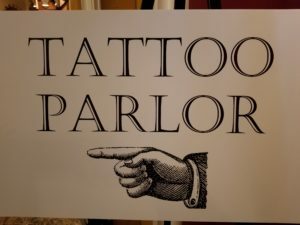 Try setting up a “Tattoo Parlor” booth, complete with a hired professional temporary body artist. 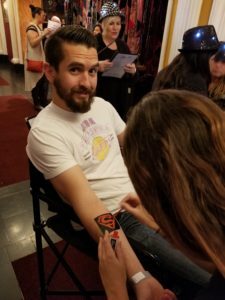 The Laine Too team offers high quality temporary body art services for both private and public events.